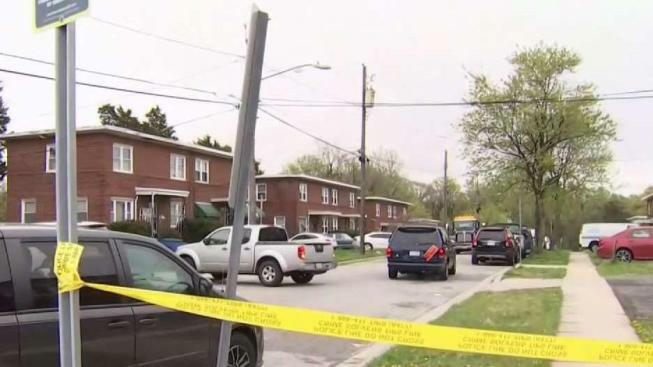 One man died and another was shot in Suitland amid a string of violent incidents even closer to the D.C.-Maryland border. Prince George's County Police said officers reponding to a shooting about 3 a.m. found two men at a home on Maywood Lane. One man was taken to a nearby hospital and the other was declared dead at the scene. A silver car with Virginia plates was towed from near the crime scene. Police are now investigating a motive and possible suspects but have not released information about the victims' identities. A slew of other violent incidents occurred near Southern Avenue on Saturday, officials from both D.C. and Maryland say. On Southern Avenue on the D.C. and Maryland line, D.C. and Prince George's County police are investigating a fatal stabbing that took place near on the 1000 block of Southern Avenue around 2:30 p.m. Saturday. Chester Belfield, 46, of Temple Hills, was found stabbed and taken to the hospital, where he was pronounced dead. D.C. police are offering a reward up to $25,000 to anyone that provides information about the stabbing. Hours later, another shooting took place on Southern Avenue in the Boulevard Heights neighborhood, Prince George's County police say. Officials say that the victim is expected to survive. Then, D.C. police were called back to Southern Avenue for a shooting near Suitland Parkway. There is no word from official about the victim's condition. Police say the gunman drove off in a black sedan. Last week, Mayor Muriel Bowser and Prince George's County Executive Angela Alsobrooks announced they'll be working together to crackdown on crime along their shared border.